Top Estonia Castles: See reviews and photos of castles in Estonia, Europe on TripAdvisor. Castles in Estonia. There are fortresses and bishop’s castles from the 12-16th centuries, stately homes and palaces from the 17-19th centuries and estates built in the early 20th century, combining the architectural varieties of the times with the somewhat rural characteristics of Estonian design. Rakvere Castle is located in Rakvere, Northern Estonia 20 km south of the Gulf of Finland. Settlement in the area originally dates from the 3rd-5th centuries AD, but the first fortifications was built around 1252. This was a wooden stronghold constructed by the Danes called Wesenbergh. Attractions Castles of Estonia. Castles are defensive structures specifically built to withstand attack in the medieval world. Technologies such as arrowslits, murder-holes, and moats further improved their capabilities. Castles finally fell out of favor with the advent of gun powder, as offensive technologies, such as canons, rendered castles largely obsolete. Toompea Castle Toompea Castle is situated on the steep limestone hill in the central part of Tallinn. The first wooden castle is believed to have been built on the hill in either the 10th or 11th century by residents of the ancient Estonian county of Rävala. 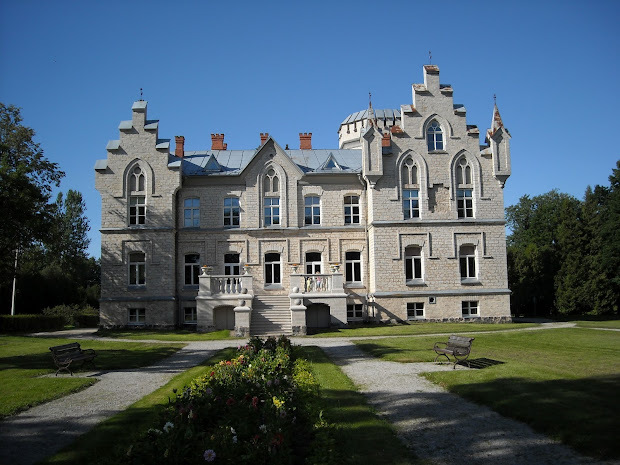 Free Estonia Castles for Sale Ads, Property Listings: Estonia Castles for Sale. Mondinion.com - Free International Real Estate Listings & Property Ads. Global Real Estate for Sale & Real Estate for Rent Directory. Apartments, Houses, Villas, Commercial & Industrial Real Estate Listings and Property Rentals. International Real Estate Directory & Property Listings Portal. Estonia boasts of a number of beautiful castles and manors that are open to visitors. These architectural landmarks speak of the lavish historical background of the country. Take a look at the list of 10 beautiful Estonia castles to know more. Hermann Castle. ( Estonian: Hermanni linnus) is a castle in Narva, eastern Estonia. It was founded in 1256 by the Danes and the first stone castle was built in the beginning of the 14th century. The German Livonian Teutonic knights order purchased the castle on 29 August 1346, and for most of its history the castle was German Teutonic.